Carbon dioxide is a widespread simple molecule in the Universe. CO2 is an environmentally important gas that plays a crucial role in climate change. It is a compound that is also present in the depth of the Earth but very little information about it is available. What happens to CO2 in the Earth’s mantle? Could it be eventually hosted underground? A new publication in Nature Communications unveils some key findings. In spite of its simplicity, it has a very complex phase diagram, forming both amorphous and crystalline phases above the pressure of 40 GPa. In the depths of the Earth, CO2 does not appear as we know it in everyday life. Instead of being a gas consisting of molecules, it has a polymeric solid form that structurally resembles quartz (a main mineral of sand) due to the pressure it sustains, which is a million times bigger than that at the surface of the Earth. Researchers have been long studying what happens to carbonates at high temperature and high pressure, the same conditions as deep inside the Earth. Until now, the majority of experiments had shown that CO2 decomposes, with the formation of diamond and oxygen. These studies were all focused on CO2 at the upper mantle, with a 70 GPa of pressure and 1800-2800 Kelvin of temperature. A team of scientists from the European Laboratory for Non-linear Spectroscopy (LENS), the University of Florence, the National Research Council of Italy, the University of Vienna and the ESRF came to the high-pressure beamline ID27 to study, using x-ray diffraction and Raman scattering (the latter performed in the facilities of LENS), what happens to CO2 at the depth of 2000 to 2400 kilometres, i.e. at the boundary between the silicate minerals of the lower mantle and the metallic core. “One of the added value of our team is the fact that we all have different backgrounds: from chemists, to mineralogists and the physicists of the ESRF. This means that we complement each other and, together, we try to get a full picture of what happens to CO2 from our different points of view”, explains Dziubek, corresponding author of the study. In order to achieve these conditions, they used a diamond anvil cell and submitted the sample to 2400 degrees Celsius (2700K) and 120 GPa of pressure, which is almost double than previous research. “It was a very complex setup, in particular the laser heating with a 10 micron infrared laser at pressures above 100 GPa was very challenging”, explains Mohamed Mezouar, scientist in charge of ID27. Thinking that they would come up with similar results to existing literature, they were in for a surprise: CO2 is, in fact, stable in a crystalline form and does not dissociate like previously believed. Mohamed Mezouar, scientist in charge of ID27, on the beamline. Credits: S. Candé. “Our results indicate that the crystalline extended form of carbon dioxide is stable in the thermodynamic conditions of the deep lower mantle and therefore could be helpful to understand the distribution and transport of carbon in the depths of our planet. It could even open doors to the possibility of trapping CO2 underground, if it stays there or just in its polymeric form”, explains Kamil Dziubek. CO2 sequestration in geological formations is one of the potential solutions for mitigating the climate changes associated with the greenhouse effect. It is important, however, to investigate the fate of carbon dioxide in deep geosphere and to recognize the form in which it can be stored within the host rock. If the neat polymeric CO2 stays stable in the deep mantle, it can represent a long-term storage of carbon. 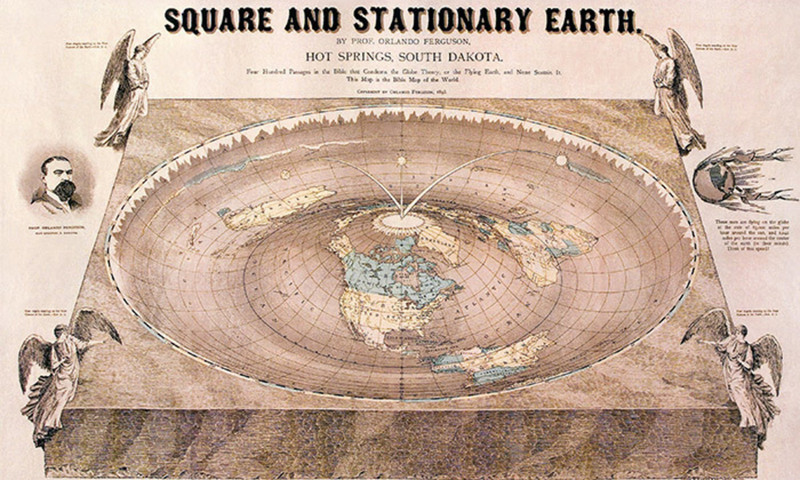 Therefore, the next step of the team is to mimic the real conditions not only in the terms of thermodynamics but also geochemistry, and study in detail stability and reactivity of the CO2 in presence of silicates, carbonates and other minerals, which are known to exist in the deepest parts of the Earth’s mantle. The ESRF – the European Synchrotron Radiation Facility – is the most intense source of synchrotron-generated light, producing X-rays 100 billion times brighter than the X-rays used in hospitals. These X-rays, endowed with exceptional properties, are produced at the ESRF by the high energy electrons that race around the storage ring, a circular tunnel measuring 844 metres in circumference. Each year, the demand to use these X-ray beams increases and thousands of scientists from around the world come to Grenoble, to access the 43 highly specialised experimental stations, called “beamlines”, each equipped with state-of-the-art instrumentation, operating 24 hours a day, seven days a week. Thanks to the brilliance and quality of its X-rays, the ESRF functions like a “super-microscope” which “films” the position and motion of atoms in condensed and living matter, and reveals the structure of matter in all its beauty and complexity. It provides unrivalled opportunities for scientists in the exploration of materials and living matter in a very wide variety of fields: chemistry, material physics, archaeology and cultural heritage, structural biology and medical applications, environmental sciences, information science and nanotechnologies. Following on from 20 years of success and excellence, the ESRF has embarked upon an ambitious and innovative modernisation project, the Upgrade Programme, implemented in two phases: Phase I (2009-2015) and the ESRF-EBS (Extremely Brilliant Source) (2015-2022) programmes. 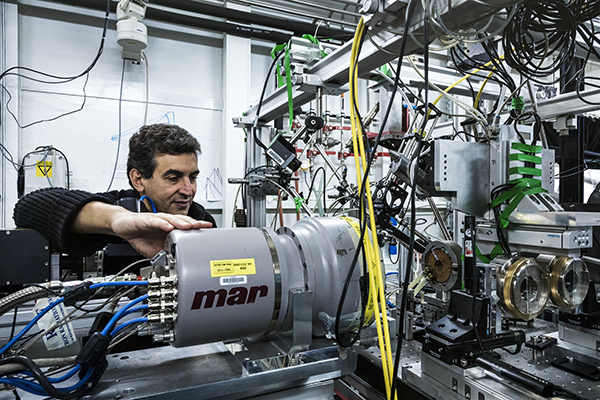 With an investment of 330 million euros, the Upgrade Programme is paving the way to a new generation of synchrotron storage rings, that will produce more intense, coherent and stable X-ray beams. By constructing a new synchrotron, deeply rooted in the existing infrastructure, the ESRF will lead the way in pushing back the boundaries of scientific exploration of matter, and contribute to answering the great technological, economic, societal and environmental challenges confronting our society. Co-authors are Summer Praetorius, USGS, Menlo Park, CA; Maria Rugenstein, Institute for Atmospheric and Climate Science, Zurich; and Geeta Persad and Ken Caldeira of Carnegie’s Department of Global Ecology, Stanford, CA. For a week, an iceberg as colossal as it is fragile held everyone in suspense. It arrived like a gargantuan beast that you hope won’t notice you, at the fishing village of Innaarsuit, Greenland, about five hundred miles north of the Arctic Circle. The iceberg posed a mortal threat to the village population of about a hundred and seventy people. Standing three hundred feet tall (the height of the Statue of Liberty) and weighing an estimated ten million metric tons (equal to thirty Empire State buildings), it’s riven with cracks and holes. If a big enough part of it sloughed off, in a process known as “calving,” it would cause a tsunami, immediately destroying the little settlement on whose shore it rested. “You don’t want to be anywhere near the water when it’s happening,” a glaciologist who does research in Greenland said. “It’s just incredibly violent.” People began to evacuate. Innaarsuit residents are a hardy bunch, living in the sort of climatic extremes that temperate zoners might call otherwordly. For much of the summer, the sun is always up. This year, it won’t set again until in early August. The temperature on Friday was thirty-nine degrees Fahrenheit—about as warm as it ever gets—and in the darkness of February and March, the average remains below zero. There are no trees. People hunt narwhals (polar unicorns), whales, and seals. The single road dead-ends at a cemetery. Boat captains (the only people who can get you off the island, apart from helicopter pilots) are constantly navigating an endless parade of baby icebergs, set loose from their mothers, drifting with the current past the village, often close enough to touch. They tend to be the size of a beach ball, a dinghy, a shack. The most recent visitor is different, obviously. 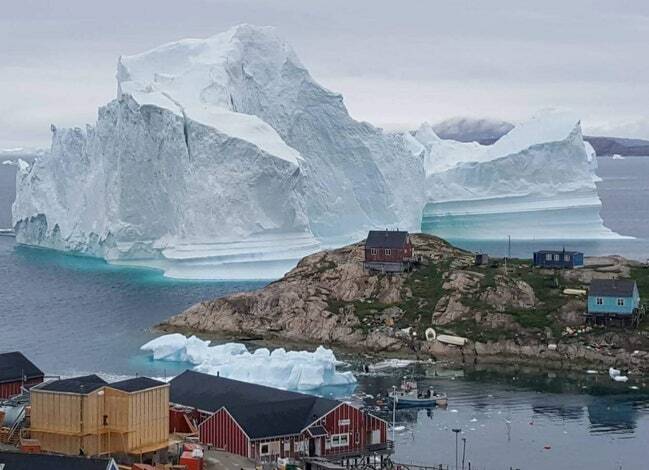 “This iceberg is the biggest we have seen,” a village council member named Susanne K. Eliassen said. Karl Petersen, the village council chair, called on the press, asking the world for assistance if the berg were to calve. For the crowd watching online, it was like “Jaws.” We hoped desperately that the great white thing would just continue on its way. Big icebergs are nothing new, but they usually remain far offshore. Ocean currents and wind push the icebergs along, sometimes five or more miles a day. In this case, the berg got stuck in the shallow waters of the bay. Eric Rignot, a glaciologist from the University of California, Irvine, said that it probably originated from one of the nearby glaciers that flow down the fjords along Greenland’s west coast. Those glaciers have long been notable for pushing a lot of icebergs out into the sea. But nowadays they are in retreat—more ice is more rapidly breaking from the glacier’s face than snow is accumulating on its back. With climate change, what happened in Innaarsuit, Rignot said, is expected to occur more frequently. Joshua Willis, a glaciologist from NASA’s Jet Propulsion Lab, put it in simple terms: “As things continue to warm up, more ice is gonna come off and float around.” Drought-stricken South Africa wants to tow one such berg to Cape Town, to prevent the country’s taps from running dry. Drought and torrid heat waves are scorching Europe, too. In England, the land is so dry that archaeologists are discovering new ruins (they hold underground moisture differently than undisturbed land, changing the way crops grow). In Ireland, a five-thousand-year-old henge came into view. Mostly, however, the news is bad. Sweden is burning as far north as the Arctic Circle, causing evacuations; last week, it was Norway. Wildfires have even broke out in Northwest England, near Manchester. Great clouds of smoke, visible from space—from wildfires in Siberia (there was an unusually bad wave in May) and in the far north of North America, in boreal and subalpine forests and even out on the tundra—blow over Greenland and stay for a while. The soot and ash blacken the island’s ice sheet and hasten its melting, leading to more tragedy. Last summer, there was a tsunami in a village near Innaarsuit, called Nuugaatsiaq. Thawing permafrost provoked a landslide so massive that it caused a three-hundred-foot wave, one of the largest ever recorded on camera. Four people died, eleven buildings were washed away, and dozens were injured. For the people of Innaarsuit, the danger posed by their stranded iceberg was reinforced by the recent memory of that disaster. Coincidentally, or not, a few days before the iceberg showed up in Innaarsuit, on July 9th, Denise Holland, a glaciologist from New York University, released a video of what is almost certainly the largest glacial calving event ever recorded on camera. Holland and her husband, David, a scientist who works with her at N.Y.U., and who also studies ice at the poles, were camping at the Helheim glacier, on Greenland’s east coast, in fiberglass igloos they built themselves. By chance, after twenty years of returning to the same spot to collect data, their camera happened to be on and filming when the calving event began. It lasted thirty minutes. All together, the ice that fell was as big as half of Manhattan, and weighed roughly ten gigatons, making it a thousand times larger than Innaarsuit’s iceberg. “I was speechless, you can’t believe you are seeing something like that,” David told me. “There are very few photographs or videos of this actually happening,” Willis, from NASA, said. (Holland does research with him at NASA, too.) “They are happening a lot, but they are hard to catch. This only lasted thirty minutes. It’s weeks or months before something like that would happen again.” Although that glacier is located about sixteen hundred miles from Innaarsuit, Holland said it is a typical case of how the village’s berg was born. It’s also an invaluable document for studying how ice sheets fall apart, to project future sea-level rise. “Ice is a material that we don’t fully understand,” Holland said. 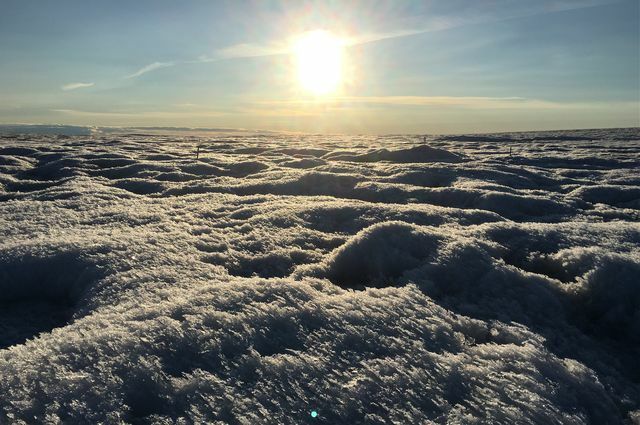 Greenland, a field site much easier and cheaper to get to, also acts as a proxy for studying the West Antarctic Ice Sheet—the most vulnerable of Earth’s three major ice sheets, and the biggest polar threat to civilization. Back in Innaarsuit, the great white iceberg remained mostly intact and, with some help from a new-moon tide and benevolent winds, continued drifting north. By Wednesday, everybody felt safe enough to go home. The store opened, the fishermen got back in their boats and resumed catching green halibut. It’s nice when a story about an iceberg has a happy ending, at least for now. Political ideology is seen by many researchers as the main culprit of science skepticism. 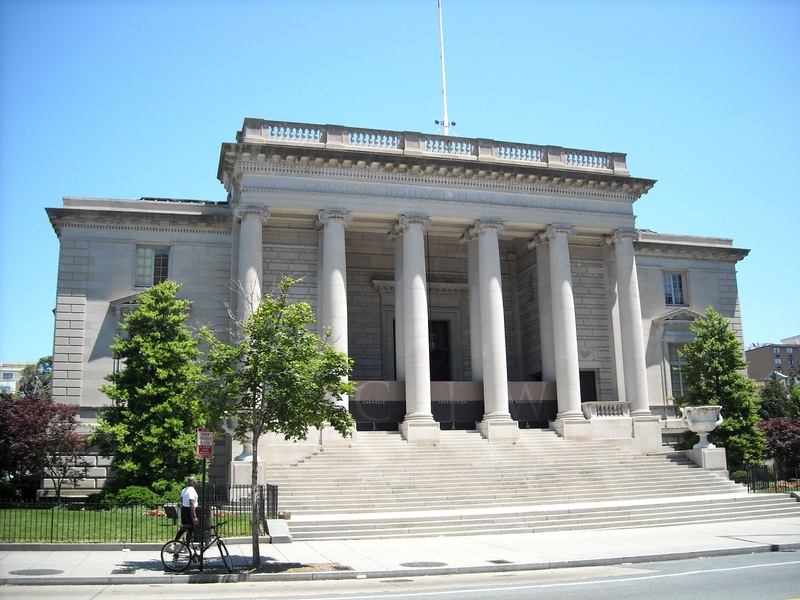 The sociologist Gordon Gauchat has shown [American Sociological Review] that political conservatives in the United States have become more distrusting of science, a trend that started in the 1970s. And a swath of recent research conducted by social and political psychologists has consistently shown that climate-change skepticism in particular is typically found among those on the conservative side of the political spectrum. However, there is more to science skepticism than just political ideology. The same research that has observed the effects of political ideology on attitudes towards climate change has also found that political ideology is not that predictive of skepticism about other controversial research topics. Work [PLOS one] by the cognitive scientist Stephan Lewandowsky, as well as research [Perspectives on Psychological Science]led by the psychologist Sydney Scott, observed no relation between political ideology and attitudes toward genetic modification. Lewandowsky also found no clear relation between political conservatism and vaccine skepticism. that investigated science trust and science skepticism. One of the take-home messages of our research is that it is crucial not to lump various forms of science skepticism together. And although we were certainly not the first to look beyond political ideology, we did note two important lacunae in the literature. First, religiosity has so far been curiously under-researched as a precursor to science skepticism, perhaps because political ideology commanded so much attention. Second, current research lacks a systematic investigation into various forms of skepticism, alongside more general measures of trust in science. We attempted to correct both oversights. Scheduled to launch no earlier than May 22, the twin satellites of the Gravity Recovery and Climate Experiment Follow-On (GRACE-FO) mission, a collaboration between NASA and the German Research Centre for Geosciences (GFZ), will continue the work of monitoring changes in the world’s water cycle and surface mass, which was so well performed by the original GRACE mission. There are far more than five things to say about this amazing new-old mission; but here are a few favorite facts. The same measurement concept used on GRACE and GRACE-FO was also used to map the Moon’s gravity field. NASA’s Gravity Recovery and Interior Laboratory (GRAIL) twins orbited the moon for about a year, allowing insights into science questions such as what Earth’s gravitational pull contributed to the Moon’s lopsided shape. The intentionally short-lived GRAIL satellites were launched in September 2011 and decommissioned in December 2012. GRACE observations have been used in more than 4,300 research papers to date — a very high number for a single Earth science mission. Most papers have multiple coauthors, meaning the real number of scientist-customers could be higher, but we chose a conservative estimate. As GRACE-FO extends the record of water in motion, there are sure to be more exciting scientific discoveries to come. Here’s a list-within-a-list of five findings from those 4,300-plus papers. Watch the GRACE-FO website to learn what the new mission is adding to this list. •Melting ice sheets and dwindling aquifers are contributing to Earth’s rotational wobbles. •A third of the world’s underground aquifers are being drained faster than they can be replenished. • In the Amazon, small fires below the tree canopy may destroy more of the forest than deforestation does — implying that climatic conditions such as drought may be a greater threat to the rainforest than deforestation is. • Australia seesaws up and down by two or three millimeters each year because of changes to Earth’s center of mass that are caused by the movement of water. JPL manages the GRACE-FO mission for NASA’s Science Mission Directorate in Washington, under the direction of the Earth Systematic Missions Program Office at NASA’s Goddard Space Flight Center in Greenbelt, Maryland. The spacecraft were built by Airbus Defence and Space in Friedrichshafen, Germany, under subcontract to JPL. GFZ contracted GRACE-FO launch services from Iridium. GFZ has subcontracted mission operations to the German Aerospace Center (DLR), which operates the German Space Operations Center in Oberpfaffenhofen, Germany. Researchers working at the UW Clean Energy Institute’s Washington Clean Energy Testbeds.Matt Hagen/Clean Energy Institute/University of Washington. The UW is also a leader in climate and clean energy research. The Clean Energy Institute supports the advancement of next-generation solar energy and battery materials and devices, as well as their integration with systems and the grid. 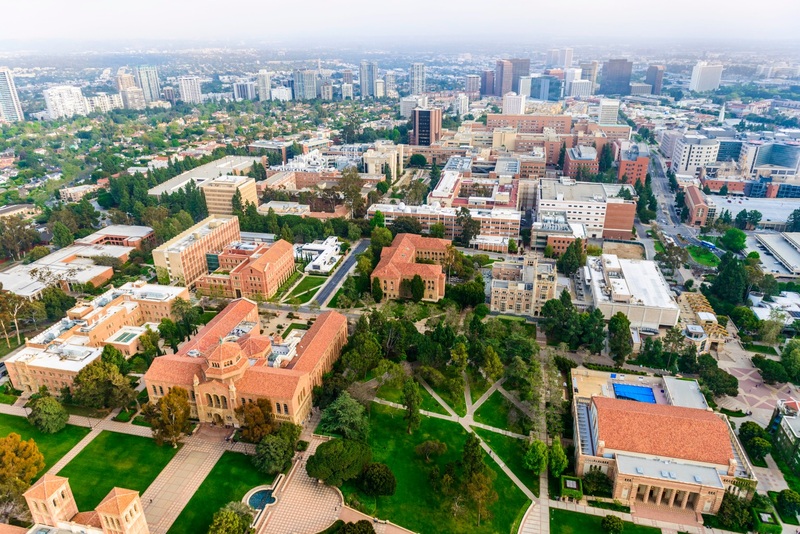 See The University of California article here. Barbuda, the sister island of Antigua, is a small, low-lying Caribbean island. Most of its 1,700 residents lived in Codrington, the central location for stores and schools. The town is also the location for the Barbuda Research Complex, where I attended sustainability field school in 2013. What makes this island so unique? 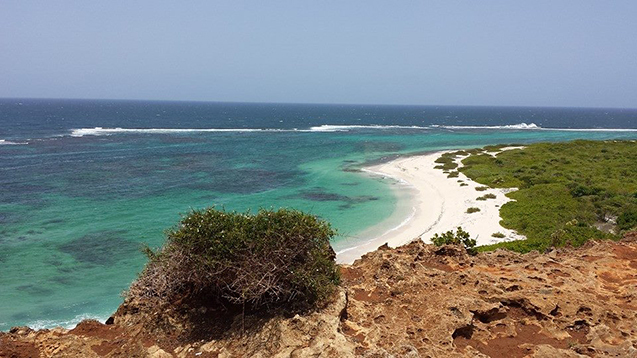 The beauty of the natural beaches untouched by tourism developments, the rich vegetation, diverse wildlife, fascinating archaeological sites and the people of Barbuda. During my three-week stay there, it became clear to me that Barbudans were a proud, happy and resilient people. Their community identity is heavily steeped in their food culture, which forges their intricate relationship with the environment. This entry in my field journal captures their spirit: “I admire how Barbudans respect and use all their resources on the island and understand their environment.” Their livelihoods and culture center on fishing, hunting and farming. However, climate change has altered the island’s food system and therefore their livelihoods. Droughts and rising seas that encroach on freshwater supplies are causing crop yields to decline, and Barbudans must increasingly rely on expensive imported foods. Hurricane Irma hit Barbuda in September and decimated most of the island – 95 percent of the buildings and infrastructure were destroyed. One person died and countless animals were killed by debris or separated from their owners. For the first time in 300 years, the island was rendered uninhabitable. All the residents were evacuated and temporarily relocated to Antigua, where they still remain today. Barbudans are eager to return to the island, as they have a strong sense of place-based identity. Rebuilding efforts are currently under way, though funds are sorely lacking and a bitter dispute over land rights has ensued. This story illustrates tragedy for the islanders, who are at the front lines of climate change. And they’re not the only ones. This year, hurricane season hit U.S. coastal communities and islands in the Caribbean at an alarming scale, causing massive infrastructure damage and loss of life. Meanwhile, wildfires are wreaking havoc in Southern California. These natural disasters are influenced by a warming climate. As the sea level rises and average temperatures continue to increase, these disasters will become more frequent and intense. 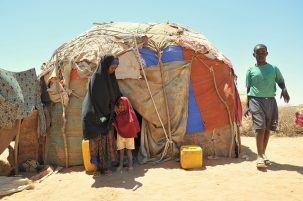 Climate change is expected to displace millions of people in the coming decades, and countries will increasingly have to grapple with this issue. When disaster strikes, what happens to the communities in harm’s way? Where do the displaced people stay? Will they be able to return to their homes in areas that climate change may have rendered unlivable? Experts from Columbia University discussed these challenges and more at a recent event hosted by the Earth Institute. Climate scientist Radley Horton from the Lamont-Doherty Earth Observatory moderated the panel. The speakers included: Lisa Dale, a lecturer in the undergraduate program in Sustainable Development; Alex de Sherbinin, a geographer at the Center for International Earth Science Information Network; and Michael Gerrard, director of the Sabin Center for Climate Change Law at Columbia Law School. 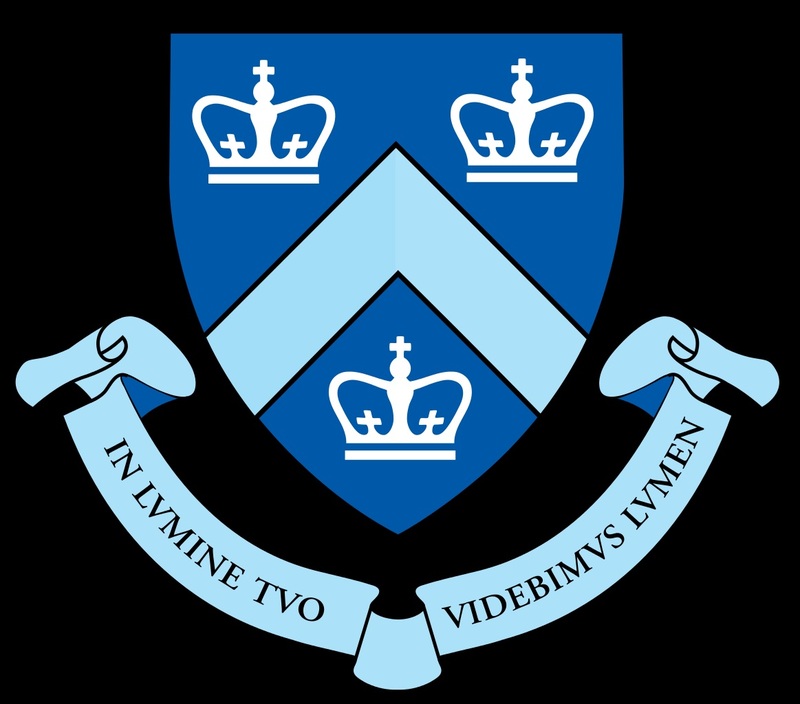 The event was part of the Earth Institute’s Climate Adaptation Initiative—a three-year project to enhance Columbia’s impact on sustainability problem-solving. One of the themes of this initiative is climate-induced retreat to safer areas. Where Will Climate Migrants Go? In the U.S., there are very few habitable places that aren’t already occupied by homes, businesses, or agriculture, or preserved as park lands or forests. Meanwhile, rural areas would provide few opportunities for migrants to find employment and rebuild their lives. Instead, Gerrard suggested moving people from high-risk areas to cities whose populations are shrinking, such as Detroit, Michigan. He sees cities’ potential for vertical development, energy-efficient buildings, and public transportation as a way to sustainably host climate migrants. When Should Climate Migration Happen? Once a major disaster strikes with little or no warning, victims can become ‘distressed’ migrants—people who have lost their homes and are forced to flee with nothing but the shirts on their backs. A better scenario would be to resettle people outside of at-risk areas before disaster strikes. That way, people would have some degree of choice in where to go and what to bring. However, Alex de Sherbinin pointed out that the U.S. government has no policy mechanism designed to relocate people before a disaster strikes. Not only does relocating people cost money, but governments miss out on tax revenues if land is left empty. “This is why there is an impetus to build up and grow in vulnerable coastal zones,” said de Sherbinin. But it’s not impossible to be proactive about climate migration. China has ‘ecological migration,’ a relocation program designed to anticipate future disasters. The government has resettled large communities from rural areas damaged by climate change, industrialization, and other problems. The program is partly an effort to reduce dust storms produced by agriculture. It works out economically because it was no longer financially tenable for the Chinese government to support these communities in rural areas. Michael Gerrard views carbon pricing as an ideal solution to funding climate relocation. Displacement by sea level rise, hurricanes, and wildfires is, as he put it, “a negative externality of burning fossil fuels, so if you were to build that into the price and pay for some of this through a price on carbon, you would generate a whole lot of money that way.” In this scenario, the money paid by carbon emitters could help fund climate relocation while creating a major economic incentive to move away from fossil fuels. The panelists agreed that countries also need to be forward-looking. In order to avoid the US’ reactive disaster planning, we must plan ahead for future damage and associated costs from natural disasters when thinking about how to manage the retreat from at-risk areas. Unfortunately, U.S. disaster response is typically reactive instead of proactive. Lisa Dale explained how, much like flood planning, the federal fire budget is backward-looking. “The U.S. Forest Service’s annual budget is based on the last 10 years of fire costs,” she said, “so they are always estimating too low.” Meanwhile, the cost of suppressing fire has grown substantially, she added. A more progressive approach would lead to better management of funds to add protective measures against climate-related catastrophes, build resilience, and in extreme cases relocate at-risk communities. For climate relocation to work, governments need to care and commit to international responsibility and burden-sharing. However, in the current global political context of fear of terrorism, an increased refugee influx into Europe, and an overall rise of xenophobia, countries are more likely to opt for stricter policies on cross-border migration. Rex Tillerson announced on December 3 that the U.S. is pulling out of the Global Compact for Migration, arguing (falsely, in Gerrard’s view) that it was a threat to U.S. sovereignty. “There is such an anti-immigrant fervor that it’s hard to imagine the U.S. in the short-term taking in large numbers of people,” Gerrard said. According to Alex de Sherbinin, framing migration as a useful adaptation (and life- and cost-saving strategy), rather than a retreat, can encourage governments to take actions to support migration. On the other hand, there is a human cost to any kind of permanent relocation: The threat of losing one’s cultural heritage, particularly in native communities on coastal areas and islands such as Barbuda. Many islanders have a deep attachment to their homeland, which is inextricably linked to their culture and traditions. Gaston Browne, the prime minister of Antigua and Barbuda, is pushing for tourism development and land ownership to regenerate Barbuda’s economy and reduce the island’s reliance on Antigua. The Barbuda Land Act of 2007 formally recognized that citizens communally own Barbuda’s land—a practice dating back hundreds of years—and must consent to major developments. In its place, Browne proposes to institute a system in which Barbudans can buy their plots for $1, opening up the possibility of securing bank loans for reconstruction. Many people and representatives in the Barbuda Council are opposed to this new system, as it would threaten their culture and would potentially open up their island to foreign investment and development. A video of the event, Climate Change Impacts: Relocation to Safer Ground, can be found here [1 hour lecture]. Scientists should have a much better understanding in a few decades [too long to be helpful] how high the sea level could rise, Rutgers-led study says. Ice loss from the Thwaites Glacier in the Amundsen Sea Embayment, West Antarctica, has doubled since the 1990s. The glacier appears to be collapsing due to marine ice-sheet instability. Photo: NASA. The calving face of Helheim Glacier, southeastern Greenland, has lost its protective ice shelf and is vulnerable to marine ice-cliff instability. Photo: Professor Knut Christianson/University of Washington. It may take until the 2060s to know how much the sea level will rise by the end of this century, according to a new Rutgers University–New Brunswick-led analysis. The study is the first to link global and local sea-level rise projections with simulations of two major mechanisms by which climate change can affect the vast Antarctic ice sheet. Earth faces a broad range of possible outcomes with climate change. At the less severe end, 2 feet of global-average sea-level rise by 2100 would submerge land that’s currently home to about 100 million people. Toward the high end, 6 feet of rise would swamp the current homes of more than 150 million. Either scenario would have drastic impacts in New Jersey and other coastal states. But the study, published today in Earth’s Future, finds that scientists won’t be able to determine, based on measurements of large-scale phenomena like global sea level and Antarctic mass changes, which scenario the planet faces until the 2060s. So coastal communities should have flexible contingency plans for a broad range of outcomes by 2100 and beyond, the study concludes. The world can make lower sea-level rise outcomes much more likely by meeting the 2015 Paris Agreement goal of bringing net greenhouse gas emissions to zero in the second half of this century, the study shows. Scientists may also become able to distinguish between different scenarios sooner by studying the physics of local ice-sheet changes and refining reconstructions of changes during warm periods in geological history. Sea-level rise poses a potentially existential risk to Earth’s low-lying cities and coastal areas, so any projected increase needs to be taken seriously by planners, environmental officials, property owners and others, said Kopp, director of Rutgers’ Institute of Earth, Ocean, and Atmospheric Sciences. In addition to permanently submerging coastal land, sea-level rise will make the flood damage from hurricanes and nor’easters worse in the future, he said. “You should plan for 2050, while also considering what options to follow under more extreme scenarios after 2050,” said Kopp, who also co-directs Rutgers’ Coastal Climate Risk & Resilience (C2R2) initiative. This study combines a well-established sea-level rise projection framework with an Antarctic ice sheet model that simulates two pathways that can lead to ice-sheet instability. The first of these pathways, marine ice sheet instability, has been studied for decades, but the second, marine ice cliff instability, has only recently been considered as an important contributor to future sea-level change. Might a process called “hydrofracturing,” implicated in the 2002 breakup of the Larsen B ice shelf on the Antarctic Peninsula, leave broad swaths of the Antarctic coast with 300-foot tall cliffs of ice exposed to the open ocean and subject to collapse under their own weight? If so, the interaction between hydrofracturing and ice-cliff collapse could drive global sea level much higher than projected in the Intergovernmental Panel on Climate Change (IPCC)’s 2013 assessment report and in a 2014 study led by Kopp [Earth’s Future]. “The widespread loss of Antarctic ice shelves, driven by a warming ocean or warming atmosphere, could spell disaster for our coastlines – and there is sound geological evidence that supports what the models are telling us,” said Robert M. DeConto of the University of Massachusetts Amherst, a co-author of the study and one of the developers of the ice-sheet model used. “We’re making progress, but we still don’t know exactly when these processes might kick in, and how fast sea level might rise if they do. The ice shelves are the key. They hold back the flow of Antarctic ice toward the ocean, so we don’t want to lose them. The problem is, they don’t last very long when they are sitting in warm water or if they are covered with summer meltwater, so keeping global temperatures in check is critical,” DeConto added. Kopp is also a co-author of another study, led by Tufts University researcher Klaus Bittermann and published today in Environmental Research Letters, assessing the sea-level rise benefits of achieving the Paris Agreement’s more ambitious 1.5 degrees Celsius (2.7 degrees Fahrenheit) temperature target rather than its headline 2 degrees Celsius (3.6 degrees Fahrenheit) target. That study found that a 1.5 degrees Celsius world would reach a peak rate of sea-level rise about 0.7 inches per decade less than in a 2 degrees Celsius world – a potentially life-saving reduction for some vulnerable coastal ecosystems. Kopp, who is a director of the Climate Impact Lab, a multi-institutional collaboration advancing the state of the art in assessing the economic risks of climate change, has authored a Climate Impact Lab Insights post with a more detailed explanation of the Earth’s Future study. Climate Central’s new website Surging Seas: Stakes Rising provides interactive global maps of flooding associated with the study’s local sea-level rise projections under different emissions scenarios. In the face of global challenges, leading women in energy and climate convene at the C3E 2017 Clean Energy Symposium. The diverse group of energy leaders who spoke at the 2017 Clean Energy, Education, and Empowerment (C3E) Women in Clean Energy Symposium hailed from different professional, personal, and political backgrounds, bringing many viewpoints on the conference’s theme of transforming energy infrastructure — nationally and internationally — for a transition to a low-carbon future. Though opinions on the best strategies to bring about this transition differed, all agreed on the urgency of deploying strategies and technologies to achieve it. “It’s inspiring to be surrounded by so many women at different stages of their careers, approaching clean energy issues from a wide range of perspectives and professions,” MIT Energy Initiative (MITEI) executive director Martha Broad told the audience, which included industry professionals, government officials, and academic researchers, as well as students who were giving poster presentations. “MITEI is thrilled to host this event, celebrate our awardees, and hear from thought leaders in this space.” Broad is also a U.S. C3E ambassador — part of a cohort of senior leaders in business, government, and academia who serve as role models and advocates for women in clean energy. Now in its sixth year being held at MIT, the C3E Symposium brings women at all stages of their careers together to discuss solutions to the most pressing energy issues of the day and to celebrate awardees from various disciplines. Founded under the auspices of the 25-government Clean Energy Ministerial, the U.S. C3E Initiative aims to advance clean energy by helping to close the gender gap and enabling the full participation of women in the clean energy sector. MITEI and the U.S. Department of Energy (DOE) have collaborated on the symposium since 2012, and the Stanford Precourt Institute for Energy joined the collaboration in 2016. Panels throughout the two-day conference focused on strategies across the technology, policy, and business spheres to address energy challenges both local and global. Nevada State Senator Pat Spearman stressed the importance of forward-looking governance on a panel about innovative policies. For Spearman, innovation means taking advantage of Nevada’s natural energy resources, from an abundance of solar energy in the south to the potential for geothermal in the north. It also means developing progressive policies that facilitate timely regulatory changes in response to new and emerging technologies. Spearman is particularly determined to account for low-income constituents with provisions in energy policy measures. On a panel about the future of the electric grid, Marcy Reed, National Grid’s chief of business operations, expanded on the importance of being mindful of customers’ needs. “We have 20th-century infrastructure operating in a world with 21st-century demands,” she said, adding that at Massachusetts-based National Grid, and her colleagues take their cue on how to best affect change from their customers. “They’re savvy and passionate and environmentally-minded. They also want their energy delivery system to be modern and responsive to their needs.” She added that having the right tools and information enables customers to make energy-efficient choices. Ugwem Eneyo, a Stanford University graduate and co-founder of Solstice Energy Solutions, explained how data are similarly important to her customers in sub-Saharan Africa. “With the development and integration of solar and storage into the energy mix, data and connectivity will play a significant role in enabling future distributed energy grids, and will also play a significant role in driving efficiency and productivity of these distributed energy assets,” Eneyo said. Her company’s technology uses a data-driven approach to intelligently manage distributed energy, helping consumers plan for their own cost- and energy-efficient power use. As a panelist for a session on international energy infrastructure developments, Radhika Khosla discussed ongoing changes in India’s energy system. Underscoring the bipartisan message of the importance of women’s involvement in the clean energy transition, U.S. Secretary of Energy Rick Perry gave a video keynote address in which he noted the positive effect that gatherings like the C3E Symposium can have in trying to address current energy challenges. Secretary Perry’s predecessor under President Obama, Ernest Moniz, engaged in a fireside chat with MIT Vice President for Research Maria T. Zuber, the E. A. Griswold Professor of Geophysics. Zuber and Moniz, who is the Cecil and Ida Green Professor of Physics and Engineering Systems Emeritus and special advisor to the MIT president, discussed the need for a rapid transition to a low-carbon economy and also highlighted the significance of initiatives like C3E in the mission to support and increase women’s involvement in STEM fields. Every year, C3E honors mid-career women who have made particular contributions to their area of energy and invites previous awardees to attend the conference. This year’s award-winners were: Anna Bautista, vice president of construction and workforce development for Grid Alternatives (Advocacy Award); Leslie Marshall, corporate energy engineering lead for General Mills (Business Award); Nicole Lautze, associate faculty member at the University of Hawaii Manoa and founder of the Hawaii Groundwater and Geothermal Resources Center (Education Award); Emily Kirsch, founder and CEO of intelligent energy incubator Powerhouse (Entrepreneurship Award); Chris LaFleur, program lead for Hydrogen Safety, Codes, and Standards at Sandia National Laboratories (Government Award); Allison Archambault, president of EarthSpark International (International Award); Sarah Valdovinos, co-founder of Walden Green Energy (Law and Finance Award); and Inês M.L. 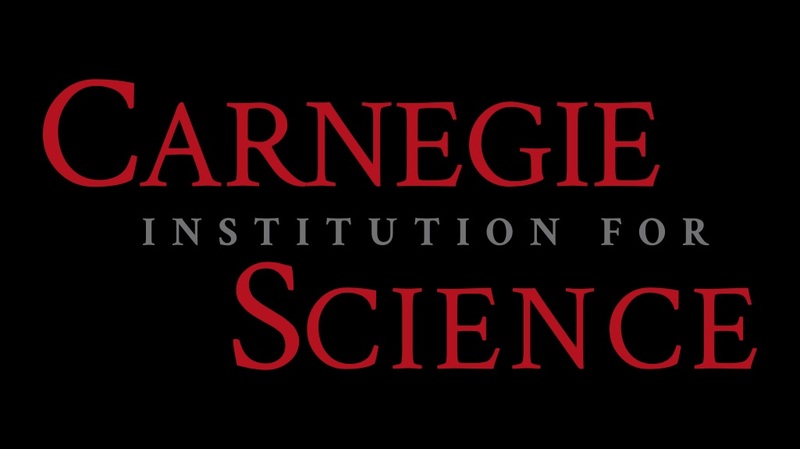 Azevedo, principal investigator and co-director for the Climate and Energy Decision-Making Center at Carnegie Mellon University (Research Award). Senators Lisa Murkowski (R-Alaska) and Maria Cantwell (D-Washington) were co-recipients of the C3E Lifetime Achievement award for their work on energy issues, including their leadership roles on the Senate Energy and Natural Resources Committee and their stewardship of the bipartisan Energy and Natural Resources Act of 2017. Carol Battershell, principal deputy director of the DOE’s Office of Energy Policy and Systems Analysis and a U.S. C3E ambassador, noted how meaningful it was for the C3E ambassadors to have the honor of choosing the awardees. Several other speakers also remarked on how it felt to be in the presence of a group of such impactful leaders and diverse practitioners in the clean energy sector.